About 18 months ago, Lampeter-Strasburg High School welcomed Susquehanna Service Dog Maya to the district. The Aevidum Club is hoping to bring three more service dogs in the next 24 months. Maya coming to L-S has been a long time coming. LS News wrote on fundraising efforts for the therapy dog in May 2015. In fact, the process took more than a year with several members of the L-S staff and students of the Aevidum Club working hard to raise the appropriate funds as well as get the necessary permissions to have a service dog. Due to the success of SSD Maya at the high school, the PAWS (Puppies Achieve Wonders for Students) team, with permission from the L-S School Board and spearheaded by the Aevidum Club are looking to obtain three additional facility dogs. 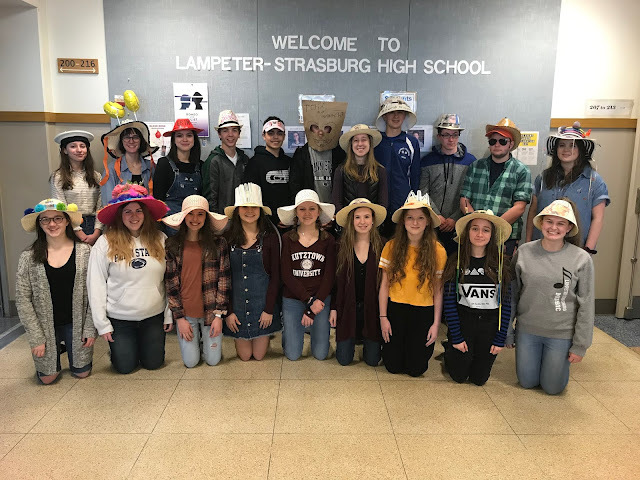 Martin Meylin Middle School Student Council, Hans Herr Elementary School PTO, and Lampeter Elementary School PTO are also supporting this endeavor so that funds can be raised to obtain additional dogs within the next two years. The PAWS team is holding a T-Shirt sale throughout all of the schools. All the proceeds will go toward obtaining the dogs. Orders are due by Wednesday, April 18 with shirts delivered on Wednesday, May 2. ​You can order your PAWS shirt online or by filling out this PDF. You can stay up-to-date with all of Maya's adventures by following her on Facebook.